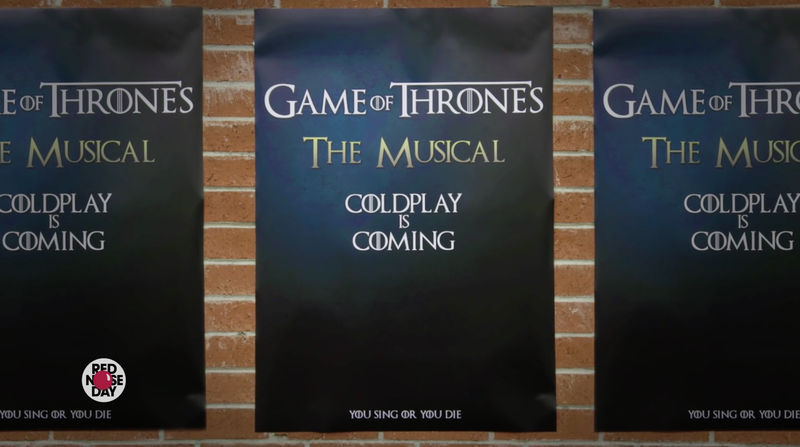 British band Coldplay lent a few hands to NBC‘s Red Nose Day US fundraising event with Game of Thrones The Musical. Cast from the HBO show gathered together at RAK Studios, London, with Chris Martin, Will Champion, Johnny Buckland and Guy Berryman in a behind-the-scenes mockumentary to build interest in the Comic Relief call to support children in need. A series of teasers led to a full 12 minutes reveal. Viewers are invited to visit the Red Nose page, donate through Red Nose US, and download the Red Nose Day app. 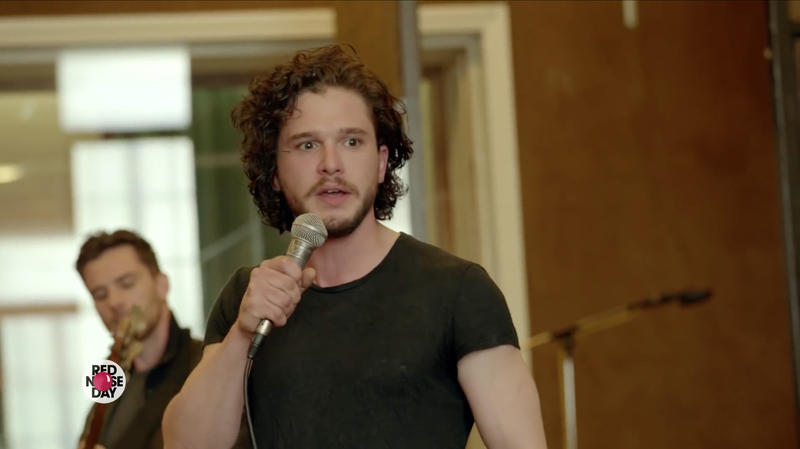 Kit Harington (Jon Snow) tries out with Wildling (The Troggs Wild Thing), supported by Rose Leslie (Ygritte). 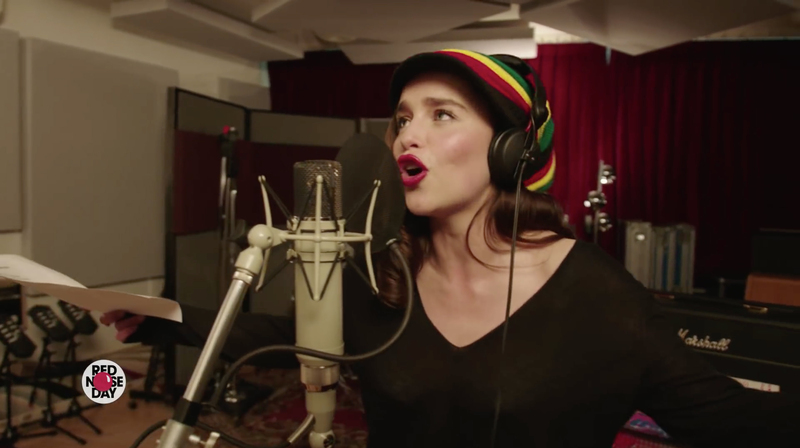 Emilia Clarke (Daenerys Targaryen) provides a reggae number “Rastafarian Targaryen”. 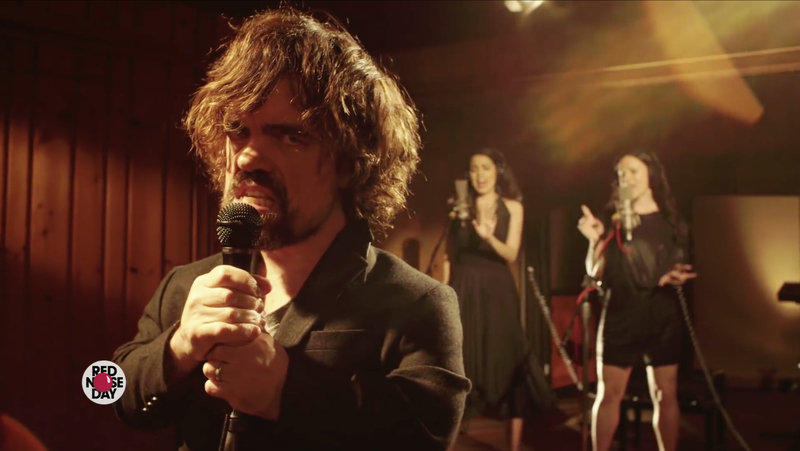 Peter Dinklage (Tyron Lancaster) grooves away to “A Man For All Seasons – Still Goin’ Strong”, celebrating his survival throughout the series. 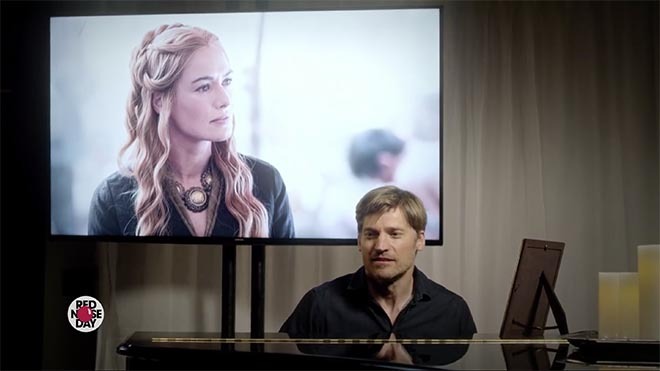 Nikolaj Coster-Waldau (Jaime Lancaster) performs Closer To Home, with acknowledgements of his character’s complicated family relationships. 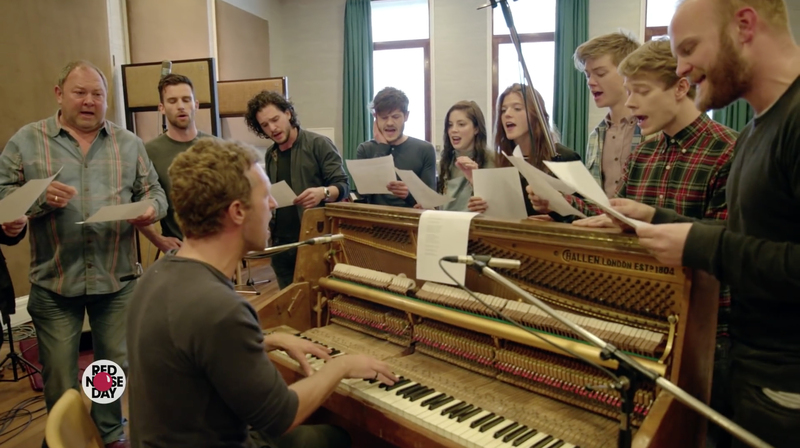 Iwan Rheon (Ramsay Bolton), Alfie Allen (Theon Greyjoy) and Charlotte Hope (Myranda) sing about torture. Finally the cast gathers together around the piano to sing along to “Red Wedding”. 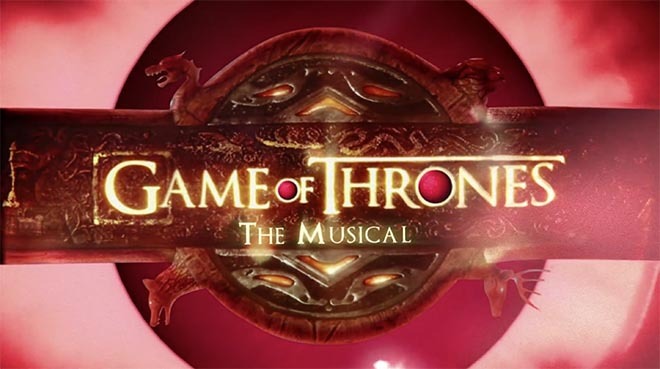 Other actors featured are Mark Addy (Robert Baratheon), John Bradley (Samwell Tarly), Thomas Brodie-Sangster (Jojen Reed), and Dianna Rigg (Olenna Tyrell). 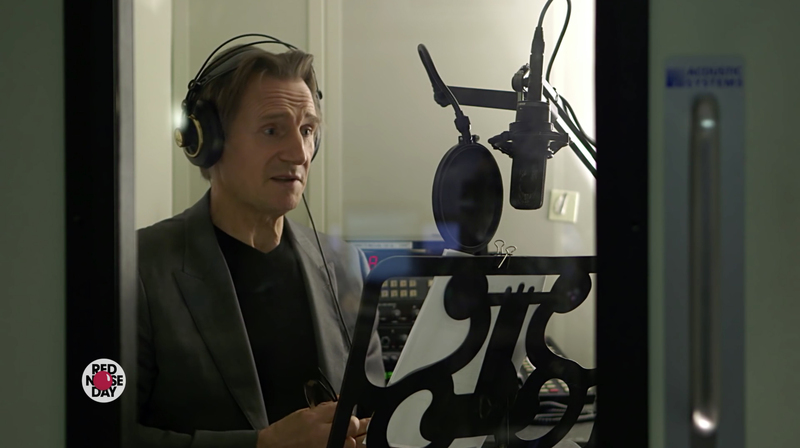 Liam Neeson provides the voiceover narrative.